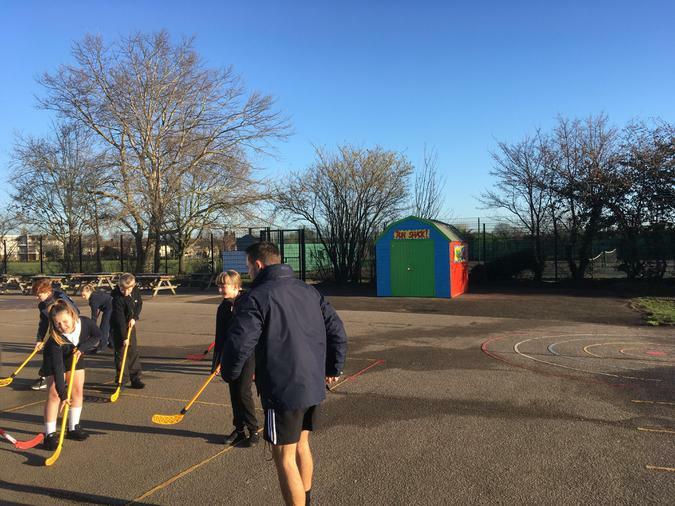 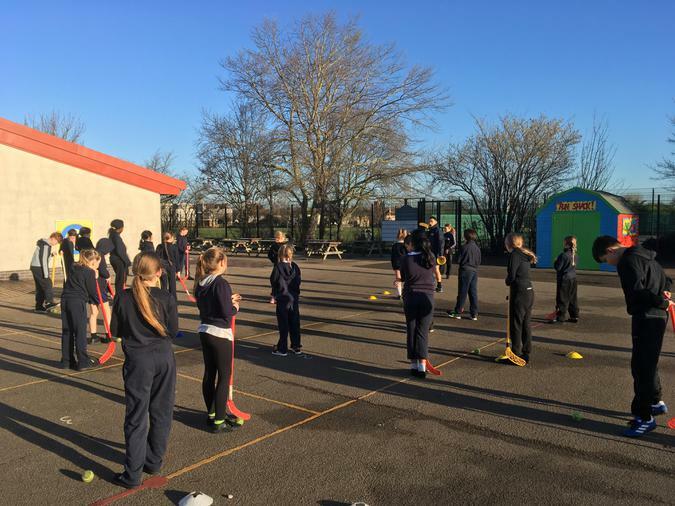 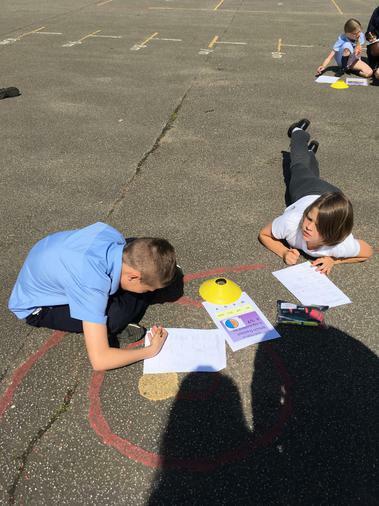 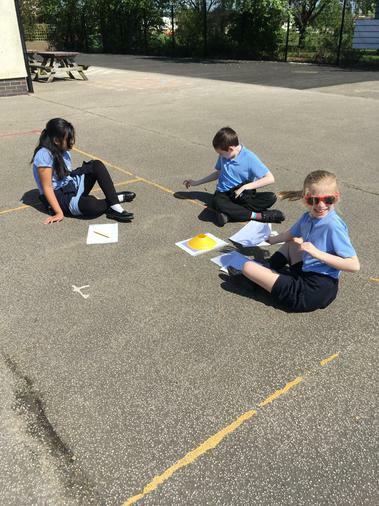 Year 5 has fun in the sun during maths today consolidating their fractions, decimals and percentages knowledge with an outdoor quiz. 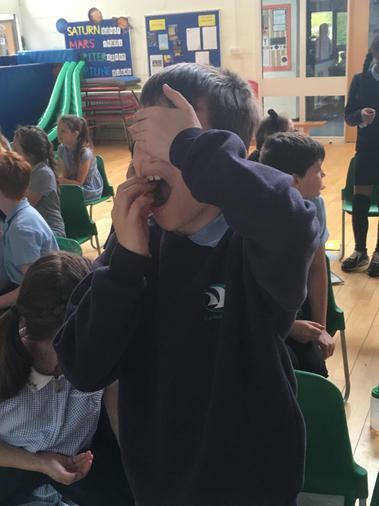 Year 5 spent the morning eating insects in preparation for our writing. 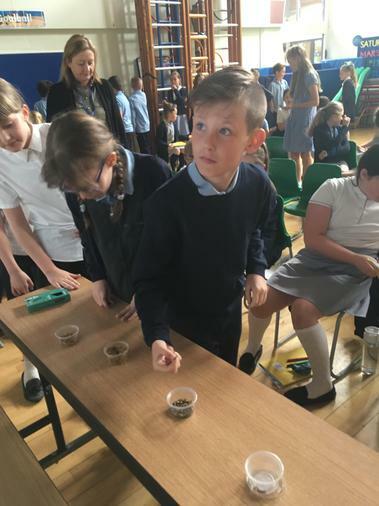 We are writing a discussion text on whether insects should replace more ‘traditional’ protein sources. 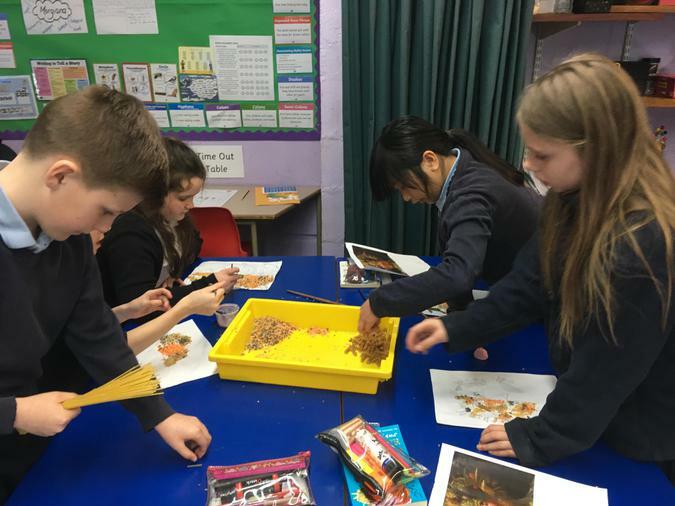 Class 12 spent time this week discovering different ways to separate mixtures. 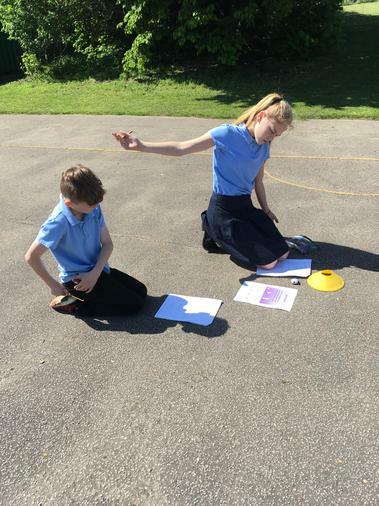 We experimented with our hands, paper plates and magnets. 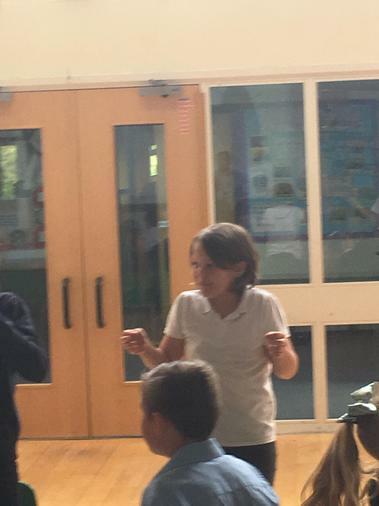 Year 5 had a great afternoon showing off their new found guitar skills to their adults. 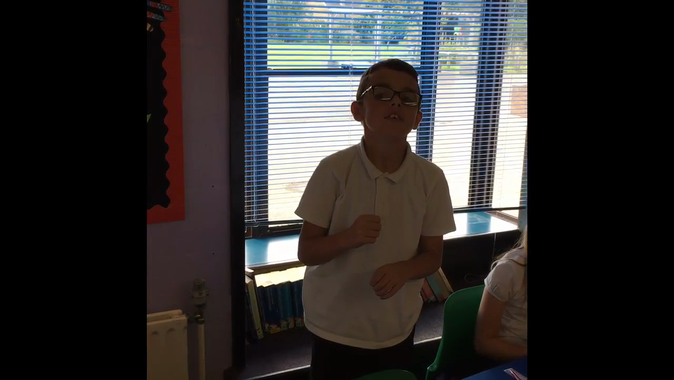 Fantastic effort from all and we are already looking forward to the Summer performance. 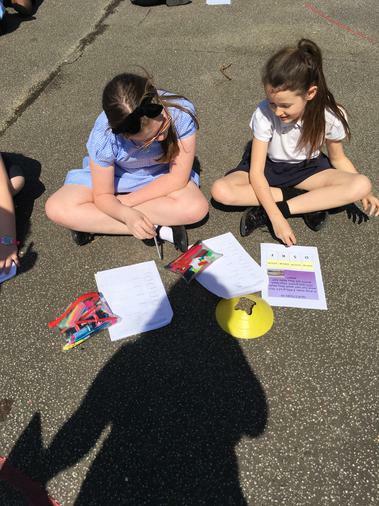 This week in science we made our very own lava lamps. 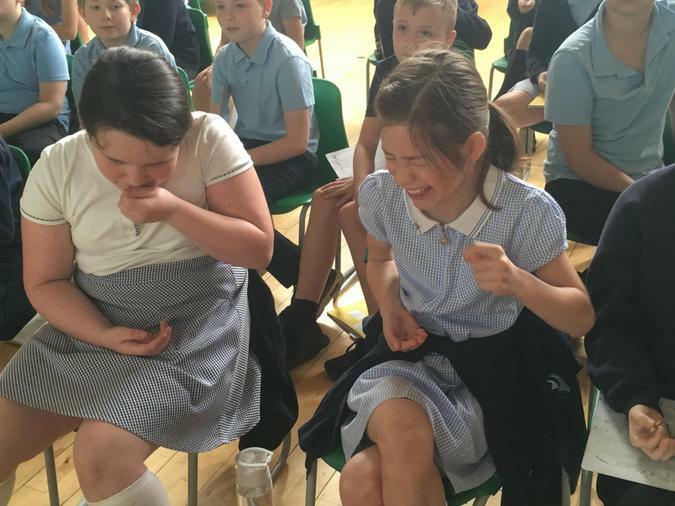 We added vitamin C tablets to vegetable oil, water and food colouring and watched as the bubbles formed. 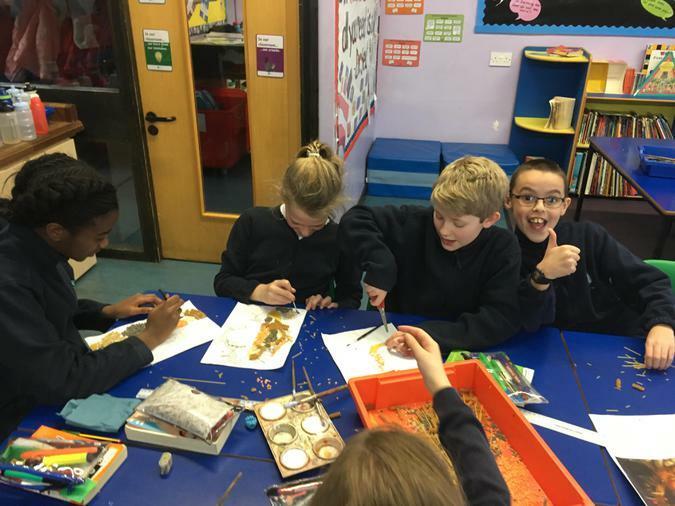 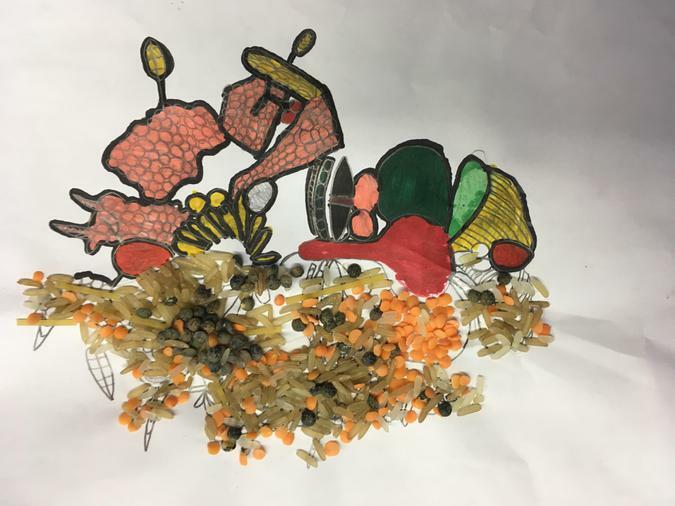 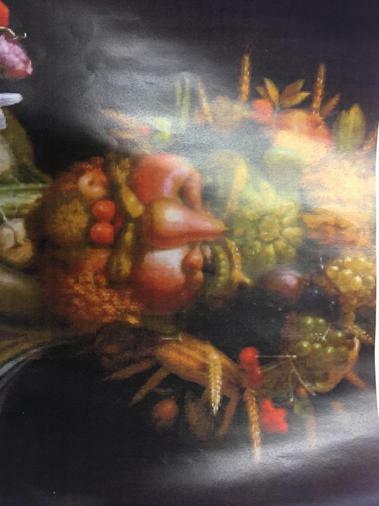 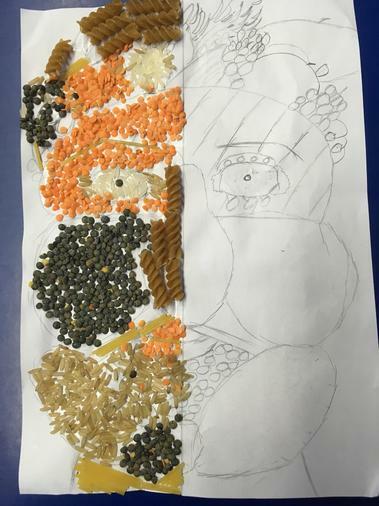 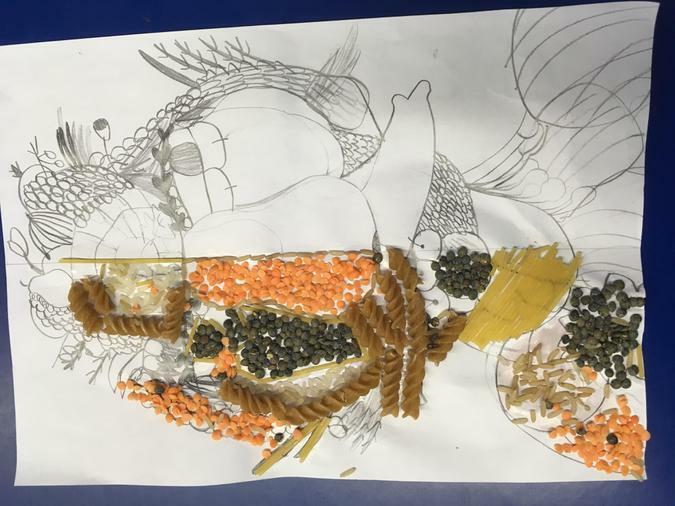 In Art this week class 12 have been channeling Italian painter Giuseppe Arcimboldo and using spaghetti, rice and lentils to recreate his famous ‘Vertumnus’ painting. 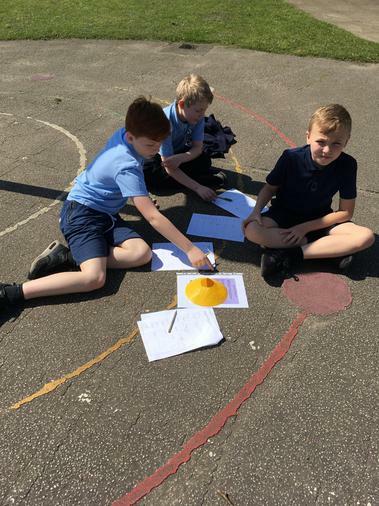 Class 12 have been experimenting with the amount of gas produced by different irreversible changes. 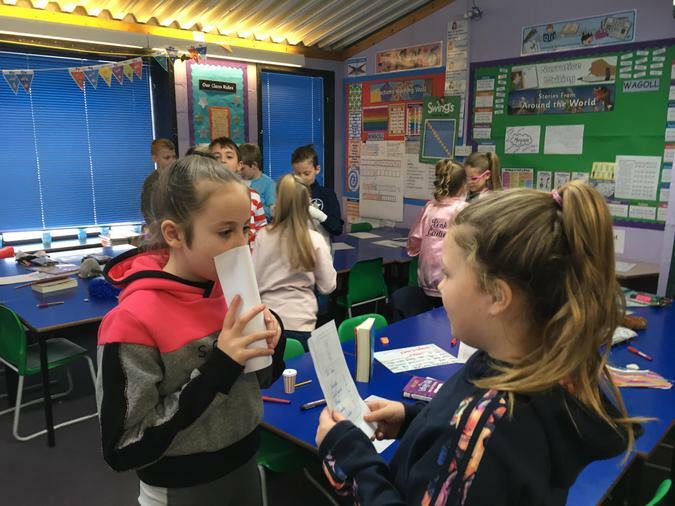 We carried out this experiment by mixing together various solids and liquids and timing how long it took for a glove to inflate. 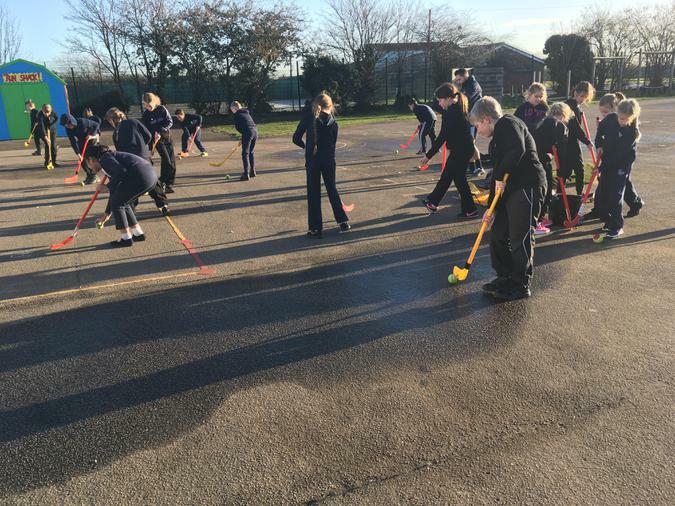 We had lots of fun, especially when the glove started to wave at us! 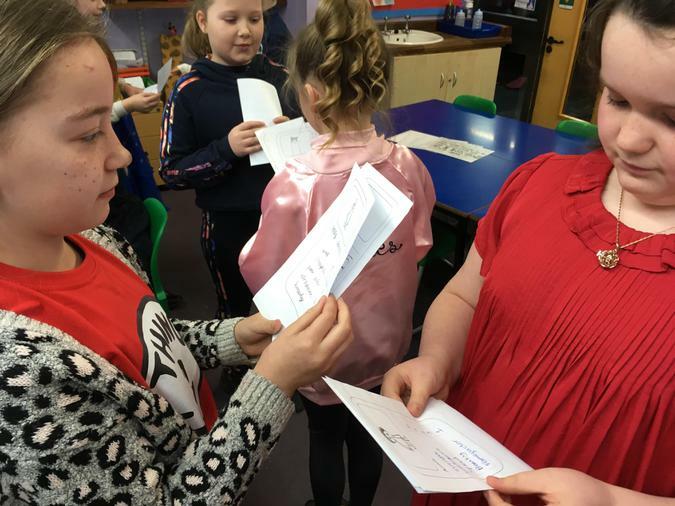 Year 5 thoroughly enjoyed interviewing (some might say interrogating) their adults last Tuesday, at the biography writing coffee morning. 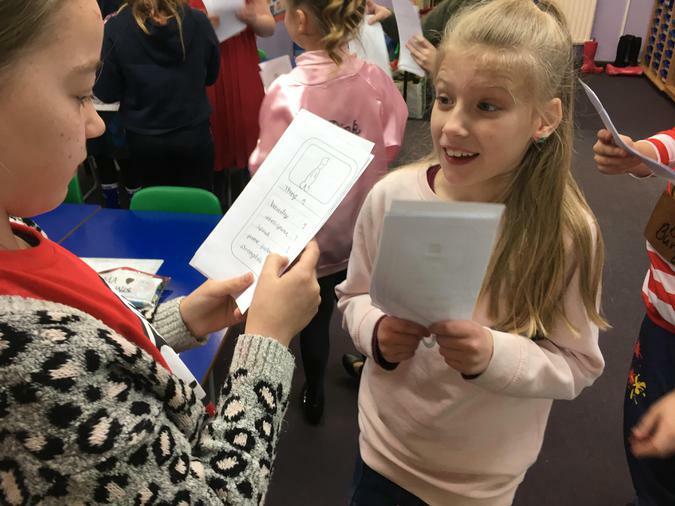 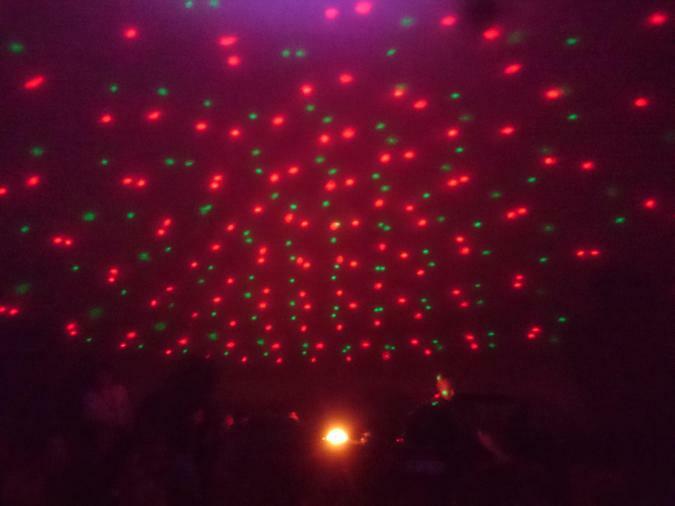 As a result, we have seen some fantastic writing, so a big thank you to those who came! 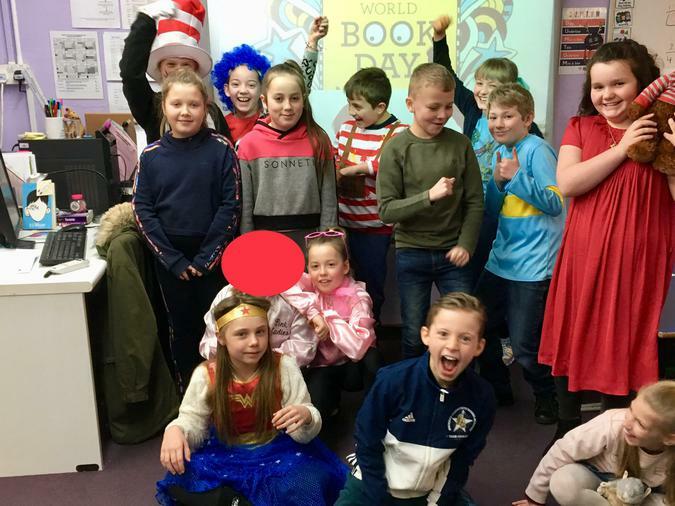 Class 12 enjoying a very snowy World Book Day. 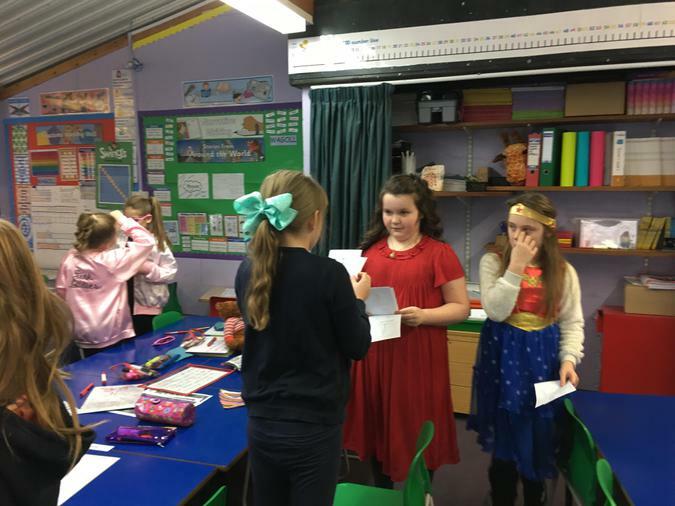 We created flipped character descriptions on our favourite heroes and villains and made a Top Trump card game to match! 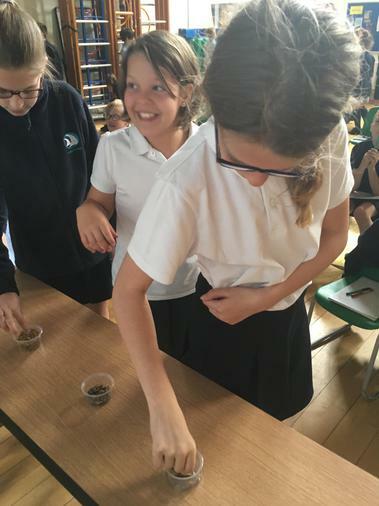 In year 5, we have been busy growing cress in an experiment to find out the best growing conditions. 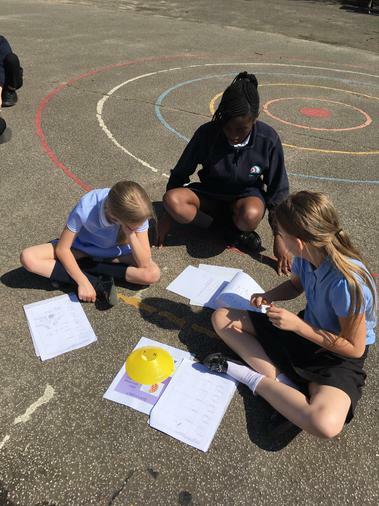 Year 5 have been working very hard in maths using bar models to represent fractions and completing challenging reasoning problems. 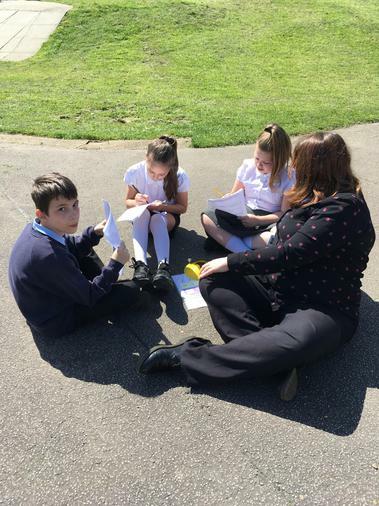 Year 5 started a new literacy unit on poetry today. 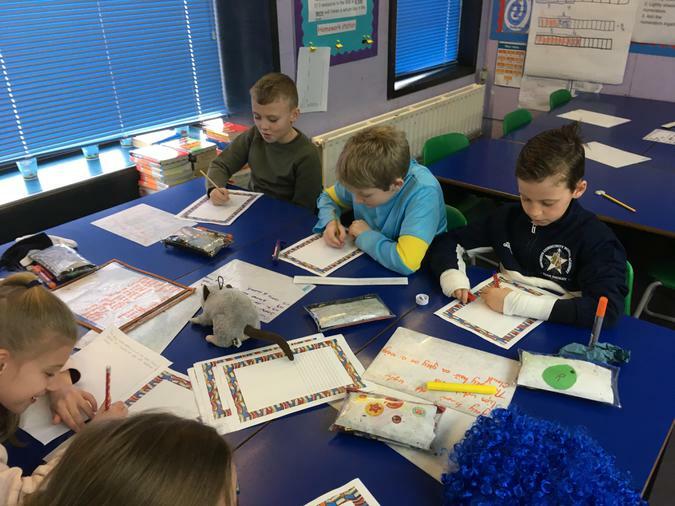 In our group work we identified lots of different poetic devices like alliteration, rhyme and onomatopoeia. 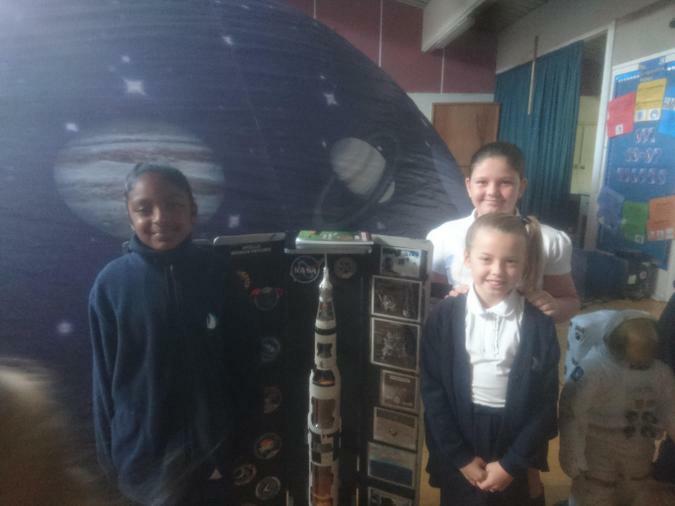 Year 5 had a special visitor on Friday. 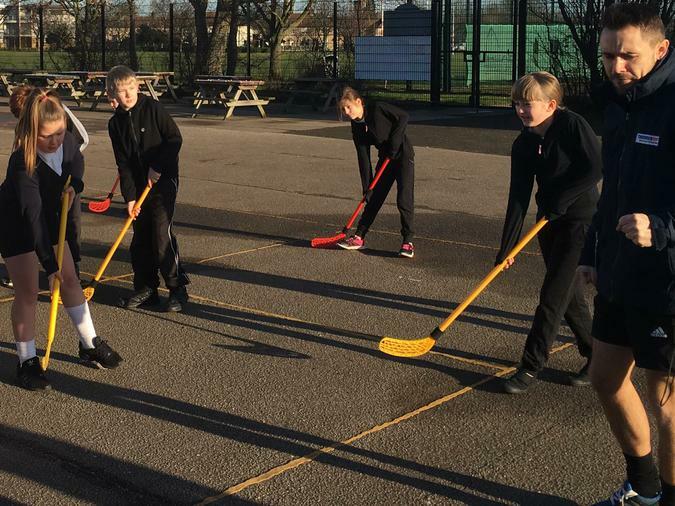 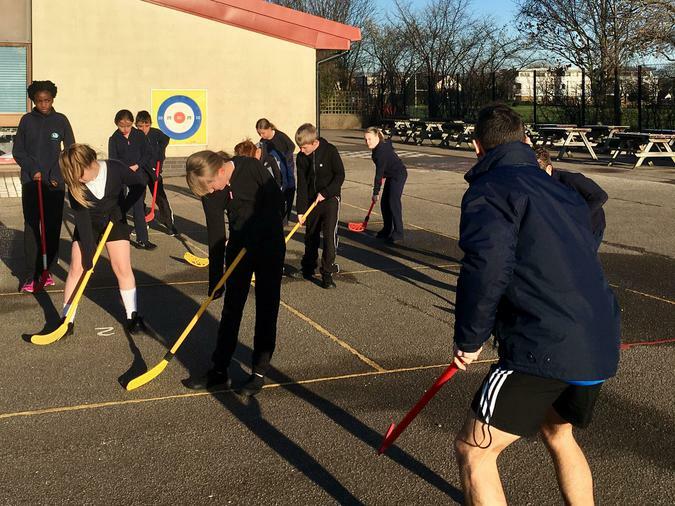 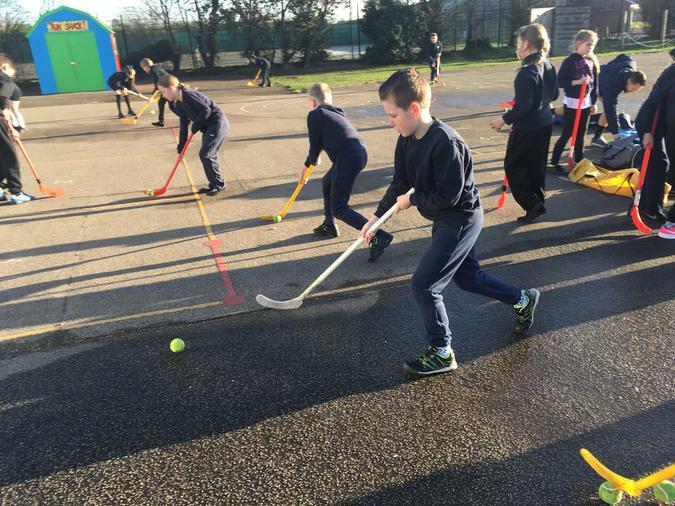 Mr Perry from Thurrock SPS popped in to teach the children some hockey skills. 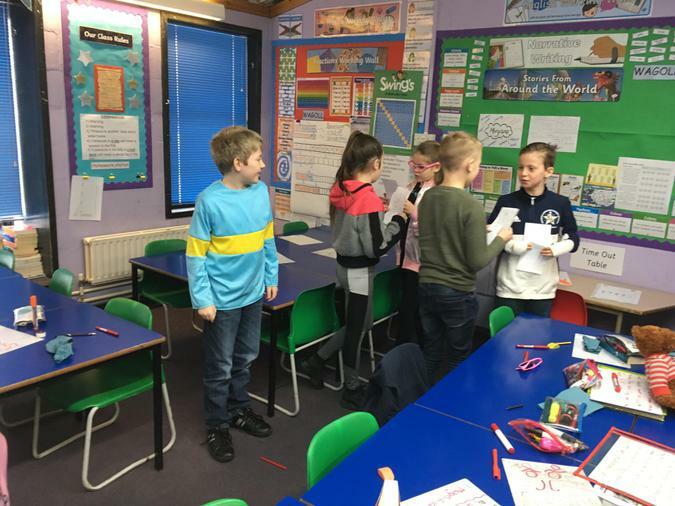 Year 5 competed in teams to win extra playtime during their maths lesson. 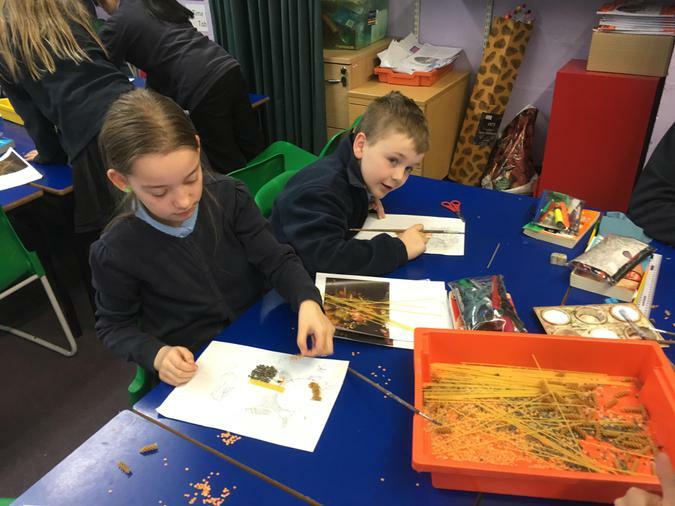 This week in science we used the IPads to research different animal life cycles. 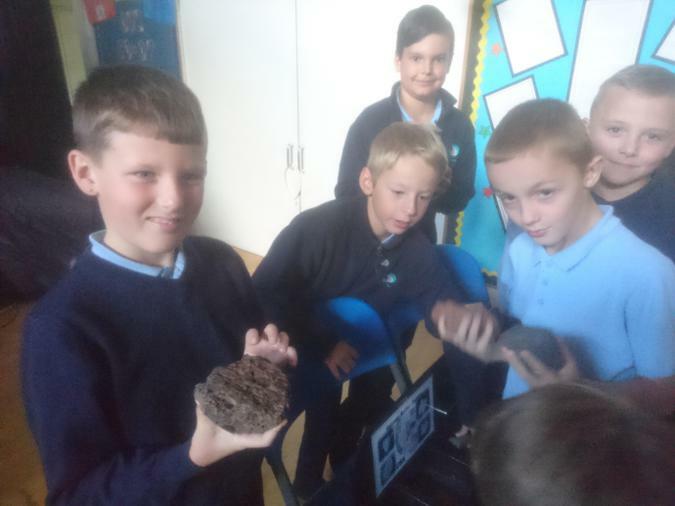 We then used this information to compare the life cycles and we also discovered lots of interesting facts. 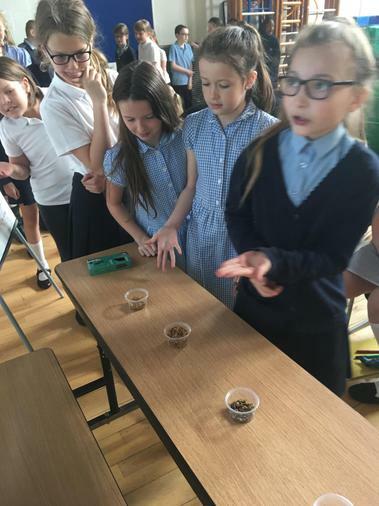 Did you know, a bumble bee only lives for 28 days? 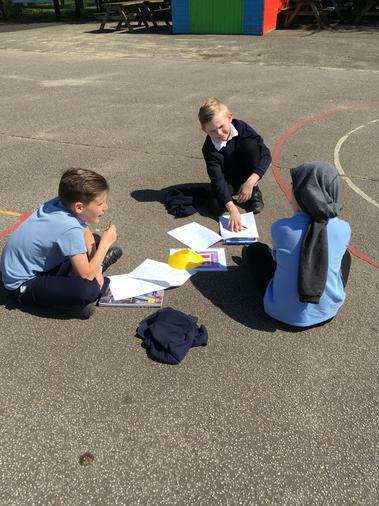 Today in English, year 5 compared different Roald Dahl texts. 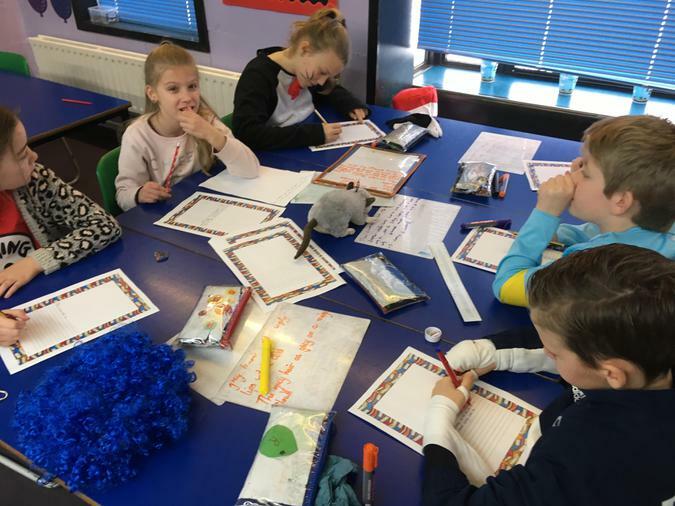 We were looking for common features unique to Roald Dahl’s books in preparation for our writing next week. 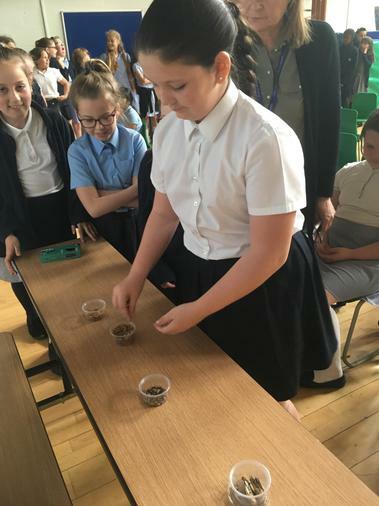 Class 12 carried out an experiment in class to test the viscosity of different liquids. 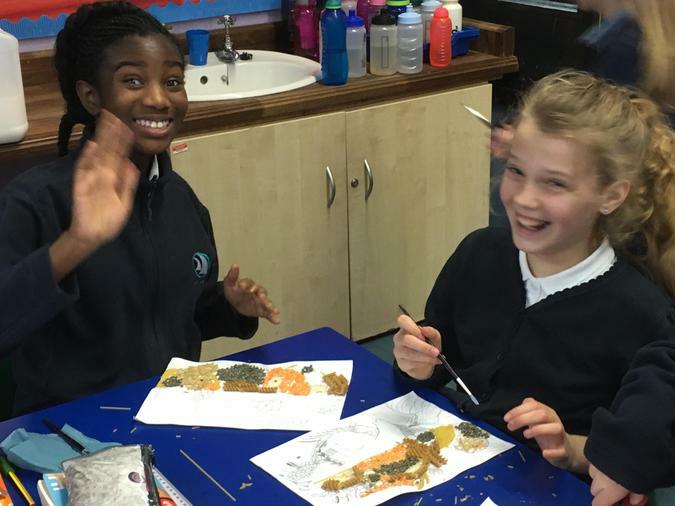 We had lots of fun taking turns to time the liquids as they travelled down the whiteboards! 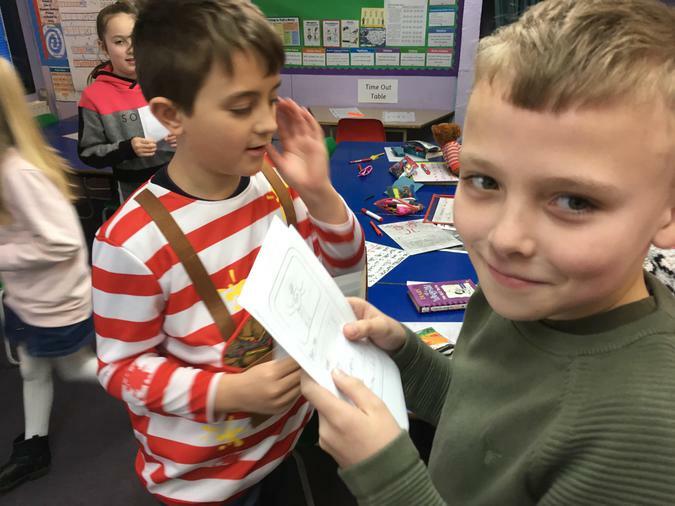 Maths is always more fun when you are a pirate hunting for treasure! 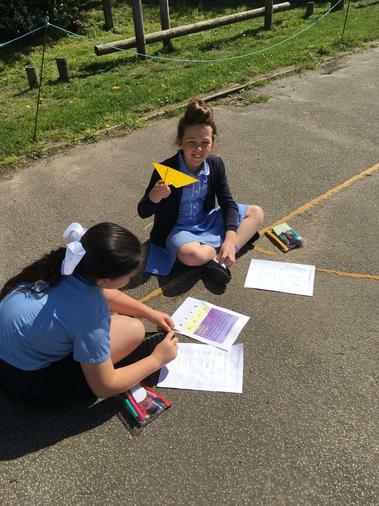 Year 5 solved some really challenging maths problems in exchange for a gold medallion. 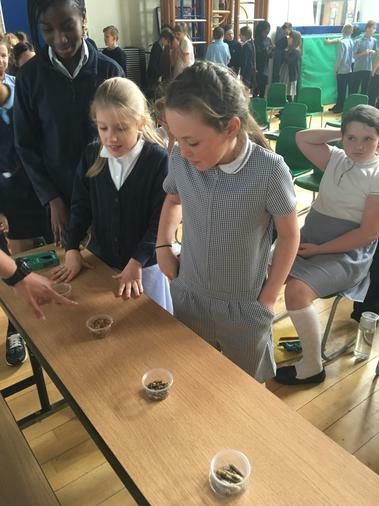 Everybody managed to get at least three gold medallions, which they swapped for a prize at the end of the day. 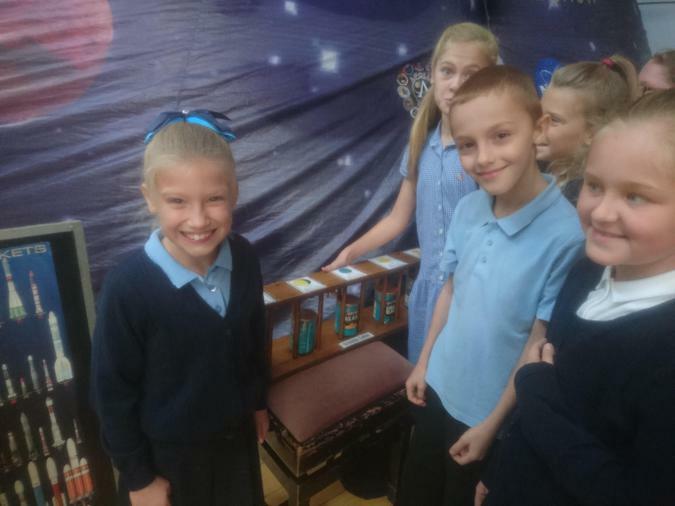 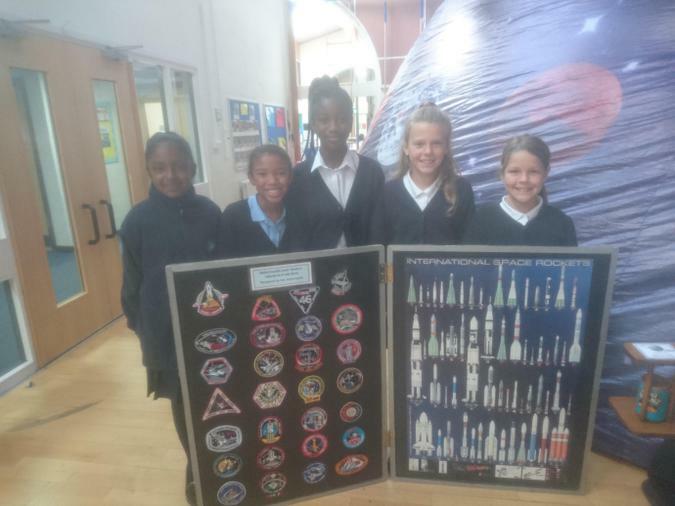 Year 5 had a fantastic time when the mobile astronomy show came to visit! 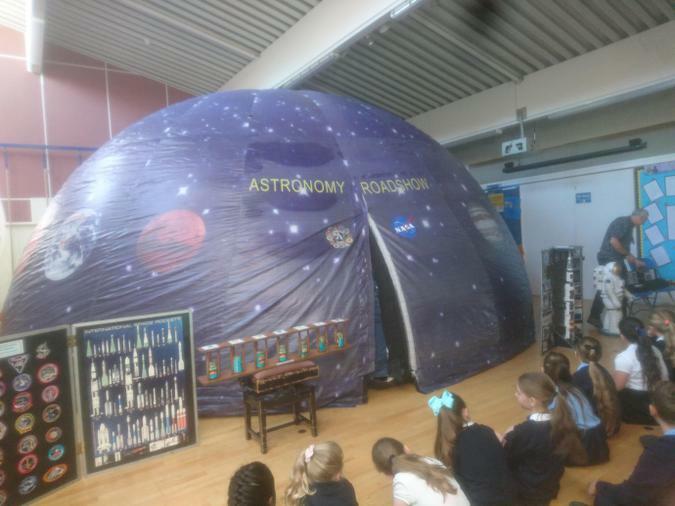 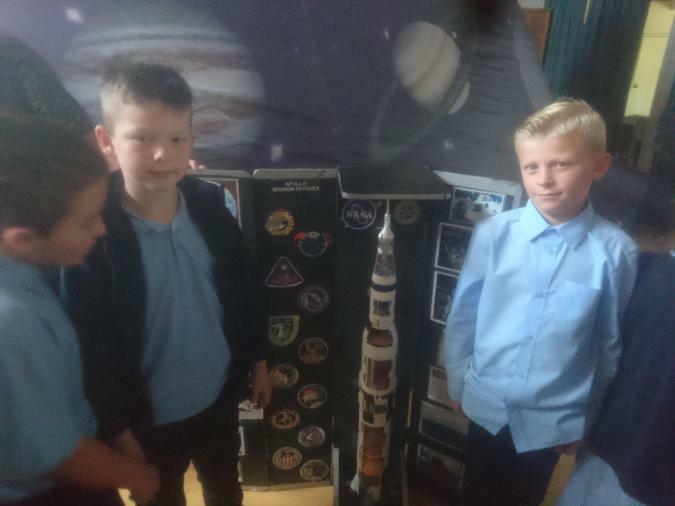 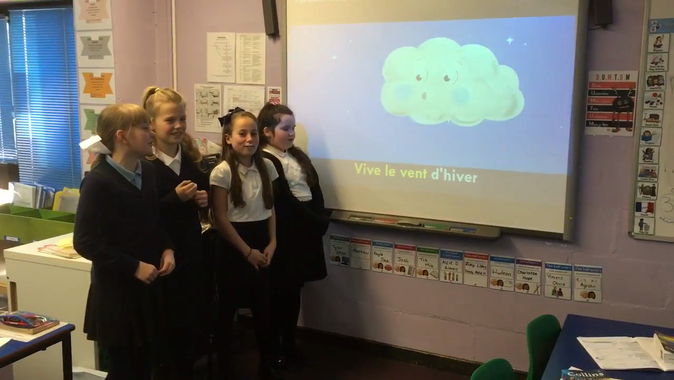 We became space explorers and found out lots about the planet, the moon and the stars.